It always nice when someone comes out of the blue and sees one of pictures and likes it enough to buy it! It’s especially nice when the buyer is a large organisation who are able to shop anywhere and still they choose you. That is exactly what happened to me. 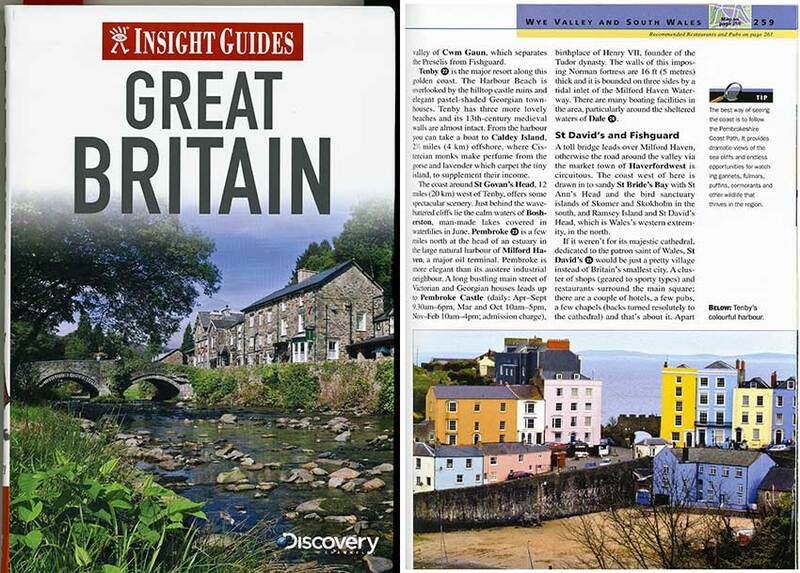 Insight Guides the well know ‘Guide Books’ publisher chose a pic I had taken of Tenby Harbour in West Wales UK. Came as a nice surprise when I received a cheque from my Agency. And then suddenly, on the 8th of September I am getting call for photos of Autumn! I am also informed that Christmas is just 15 week away. Guess I had better start planning for next spring’s picture calls.